Traps plant debris, excess food, fish waste and more. Ideal for super quick and effective cleaning, the cordless Fluval AquaVac+ Water Changer and Gravel Cleaner offers convenient battery-powered operation with replaceable filters to reduce and simplify maintenance time. 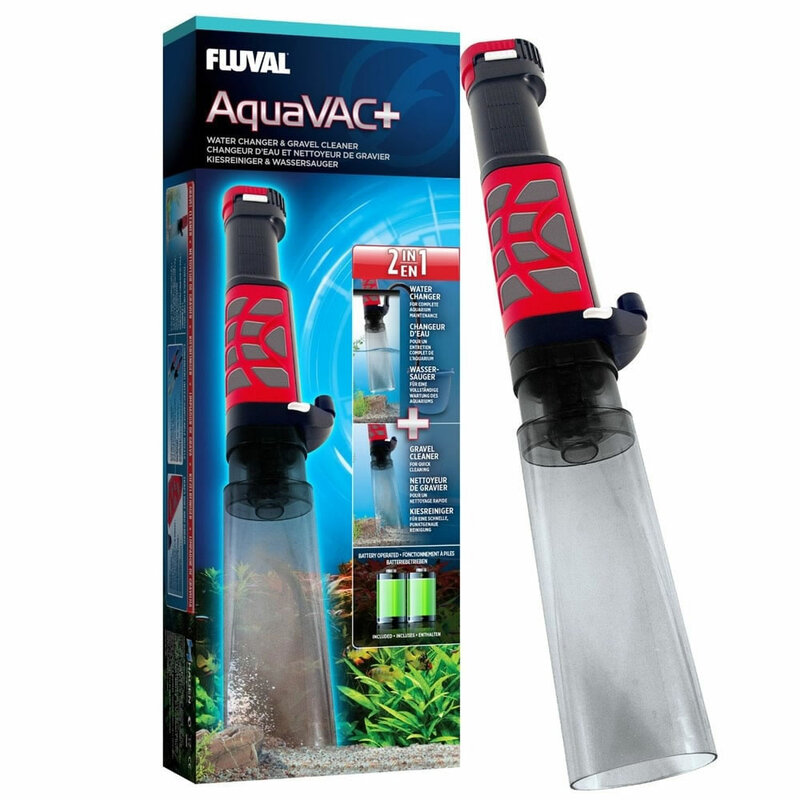 With its intelligent 2-in-1 design, the Fluval AquaVac doubles as both a gravel cleaner and water change system. The AquaVac+ features powerful suction and an optional long-reach nozzle to easily remove waste and debris even in those hard-to-reach areas. One simple turn of a lever activates the water change feature, meaning no more siphoning or annoying watery messes to clean up!